A year has passed since the first encounter with the Haunted Hotel. Since then, a lone FBI agent has taken the case and discovered that the mystery is deeper than originally suspected. His investigation leads him to the Lonely Star, a Hotel with an intriguing mystery surrounding it. Can our hero find out who is behind the disappearances and close the case once and for all? Help the agent seek out the answers in his thrilling investigation of Haunted Hotel 2! 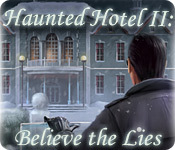 Haunted Hotel II: Believe the Lies is rated 2.7 out of 5 by 24. Rated 5 out of 5 by AngelQueen36 from Outshined This game really outshined the first one. Storyline was much better, level of challenge was right up my valley, fun factor was extreme. Loved it. Rated 5 out of 5 by turtulesh from Great all HOG This is a very old game, but I found it to be great. I was missing some old straight forward HOGs. And this one came up just in time for me. All HO scenes are played ones. Rated 5 out of 5 by Gojira2006 from More Haunted Hotel Fun I liked this game, even more than I liked the first . . . The story line, such as it is, meshed much better with this game, & promises more weirdness in the next installment of the Haunted Hotel series that follows this one . . . 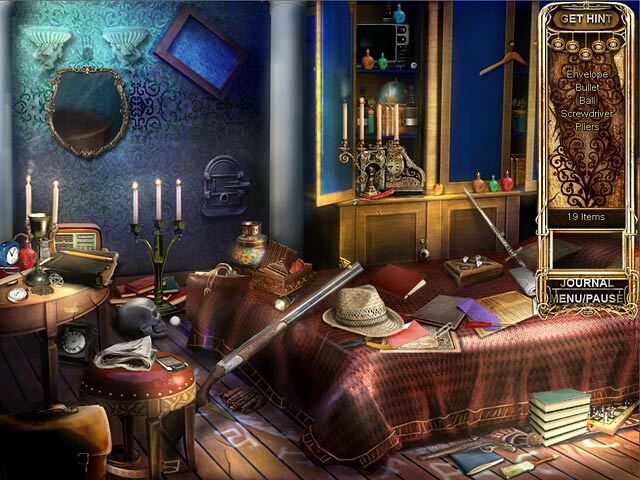 It is, however, mostly going from room to room finding hidden objects & solving puzzles, with cut scenes interspersed . . . 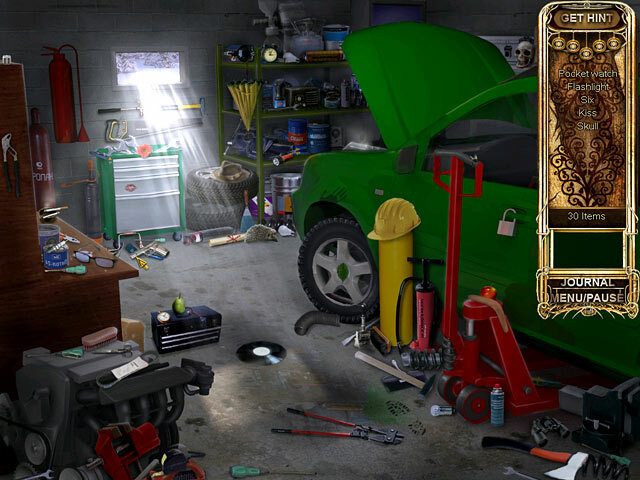 The Hidden Object scenes are untimed, but with limited hints (five per scene) . . . The artwork is good, but not as good as I would like to see for trying to find very small items, which are in abundance in each area (maximum of 30) . . . The puzzles are mostly easy, but fun . . . This is a very short game . . . Very short . . . One thing really annoyed me - the background sounds . . . I turned them off . . . Rated 5 out of 5 by mspaws from Enjoying Part 2` I am liking this game more than the first one! I think the graphics and story are better! Rated 4 out of 5 by CajunJuJu30 from Pretty Great Game I thought this game was actually pretty good. The graphics were nice, the music was ok and the gameplay was actually a little lengther than the first one. I finished about 2 hours which is actually the way I like it because of my home life I need games that aren't gonna take me half the day to finish but I also like playing game that take longer but of course I'd have to finish in like 2 or 3 days. Rated 4 out of 5 by trinidadW from Welcome the the Haunted Hotel Haunted Hotel II: Believe the Lies Enter a world of mystery and suspense where things are not what they seem and the obvious eludes you, hidden in plain sight. 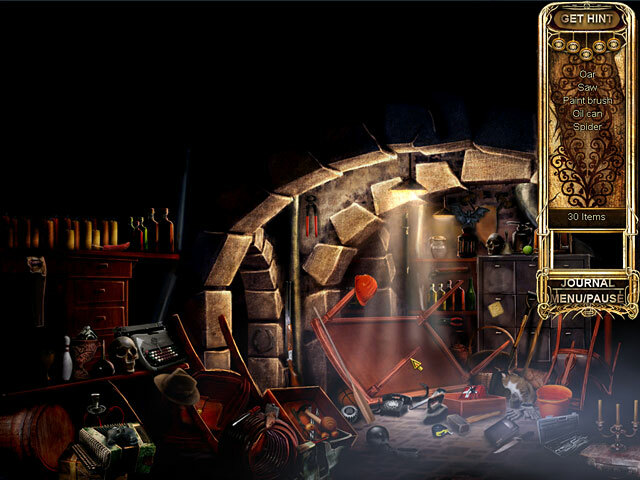 Haunted combines the mechanics of a hidden object game with puzzle solving elements all set in an atmosphere of foreboding and suspense. Crisp graphics, a distinctive soundtrack and tight storytelling make it easy for you to get immersed in the game. Mini games which can be played or skipped add to the overall replay value. If you enjoy hidden object games but are yearning for something with a bit more depth you have reached your destination. Rated 4 out of 5 by AwesomeMcPower from A great sequel. My only criticism of this game is the repetitive nature of the timed puzzle challenges. Aside from that, it was great. Good game for a beginner. Rated 3 out of 5 by coffeyfan77 from Believe the Truth..It's Average The second entry in the Haunted Hotel series does get credit from me for fixing one of the biggest irritations from the first game, that being the music. There's more variety here, and aside from a really irritating noise that happens when you collect an inventory item to use, it's more than listenable. Other than that, unfortunately, it's more of the same. You'll get a tiny bit more information about the odd goings-on in the hotel before the obligatory twist ending setting up the next game, and the graphics are improved with some cartoon type cutscenes, but for the most part it's the standard get to a location and collect about thirty items from the list. Much of the other repetition has been removed, as you won't keep going to the same locations and you'll have a couple minigames to keep you occupied. Nothing really challenging. HO items look great but suffer from the normal junkpile issues. You'll find some clue that gets you to the next scene and do it all over again. This is an improvement over the first, but barely, and seems a bit unfinished to me. This series gets very good but the early returns look like library microfiche. Dull and simplistic. Skip. Rated 3 out of 5 by swissuz from If you like HOS and have good vision....this is your game! After playing the demo for the recent Haunted Hotel game, I had to go back and see how other Haunted Hotel games compared. I'm not sure when this game came out, but I assumed it was more recent since it was a second version. That being said, I do not thing this was made by the same developer as the recent "Haunted Hotel: Eclipse," unless they completely changed their staff. One reviewer mentioned a connection, so I really don't know. This game was 99.99% series of HOGs. I happen to like a good solid HOG game occasionally, but this artwork was very small and cluttered. The scene is not just a closet or inside a dusty trunk, it's a whole room of clutter.....AND...along with larger items, you are looking for obscure things like a guitar pick, or a bullet or a puzzle piece.....things that are so miniscule that you find yourself clicking on anything. The good news, (sorta) is that they do copy and paste some of the artwork, so IF you find that guitar pick, you might spot it in another HOG. These HOGs are also the scrolling type....where they list about 10 at a time and add one every time you locate one. You get that quicksand feeling like you'll never find the bottom.....especially when a "fly" is on the list and you are going blind. Now....for the eagle eye player that is hooked on HOGs, this is a perfect game. Also a great game for younger players to build hand/eye coordination. The story IS at a hotel...and there are clues in the rooms, but as stories go, there isn't much of one. In the demo, I played about five HOGs and a couple of games, and I did not see a break from that. It has nice generic background music that is not really distracting. I won't be purchasing this game, but I do believe it has merits for those gamers that are really into this genre. For fans of "Haunted Hotel: Eclipse,"....just be warned....this is nothing like that game. I recommend it!